The Wilshire House 10601 Wilshire Blvd are condominiums located on the North side of The Wilshire Corridor.It has 65 Units. The Wilshire House 10601 Wilshire Blvd is 20 Stories tall . 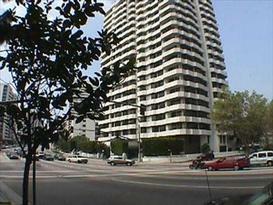 The Wilshire House condominiums were built in 1982. It has one, two and 3 bedroom units with some 3 bedroom units with a den. It is one of the buildings along the Wilshire Corridor whose architecture has stood the test of time with long full length windows and open floor plans . It has sweeping views of Bel Air and views along the Wilshire Corridor . It is one of a few buildings to have a tennis court.The Wilshire House 10601 Wilshire Blvd has clean contemporary lines on the outside. The amenities include a doorman, valet parking, concierge service, banquet facilities, fitness center, pool. The units range in price from $1,500,000.00-3,000,000.00 and up. Luxury Condominiums are for sale and for lease in The Wilshire House. It is one of the luxury condominiums in Los Angeles. Warner Ave Elementary School is the public school available to residents. The Wilshire Corridor offers a great lifestyle with so much to do and such easy access to Beverly Hills, Westwood, Brentwood, Bel Air, the freeways etc. You are located close to UCLA and Century City. There is shopping, restaurants, theaters, places of worship,parks, schools, etc very close by. Living in a luxury high rise allows you a lifestyle that you can travel and close the door and not worry about property maintenance. It is a great way to transition from a single family home to a condominium.